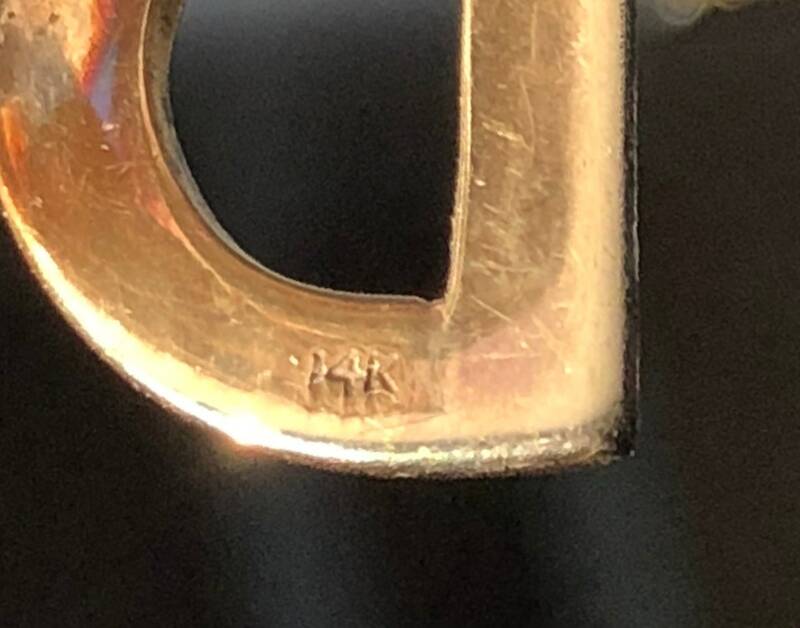 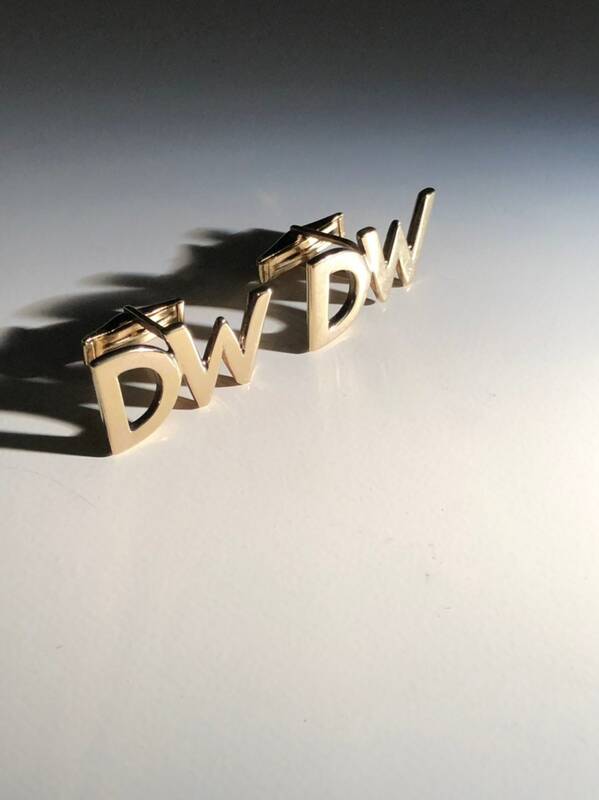 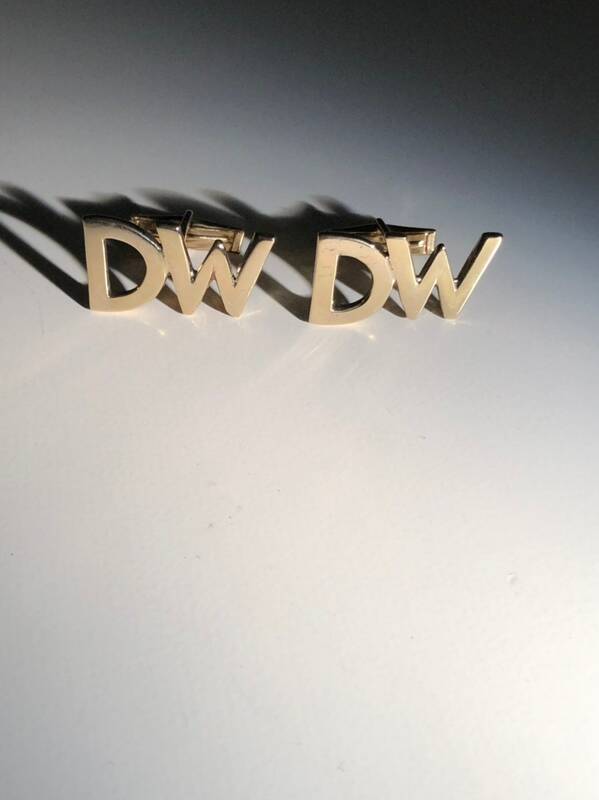 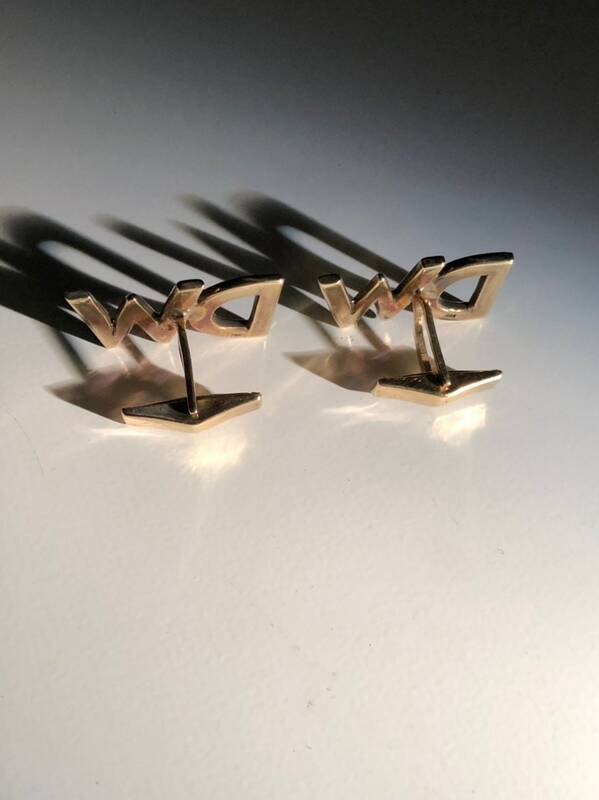 Offered here is a pair of heavy large solid 14 KT gold DW monogram cufflinks. 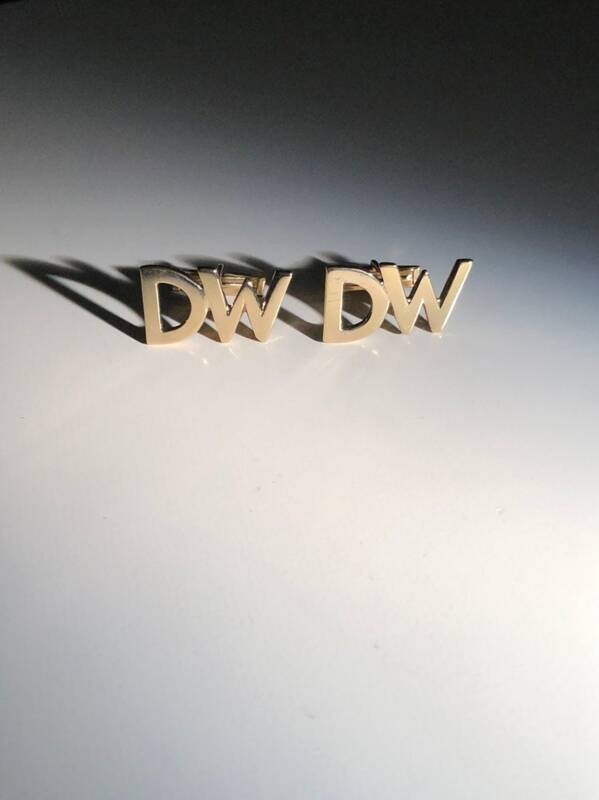 A classic and timeless design for a legendary DW. 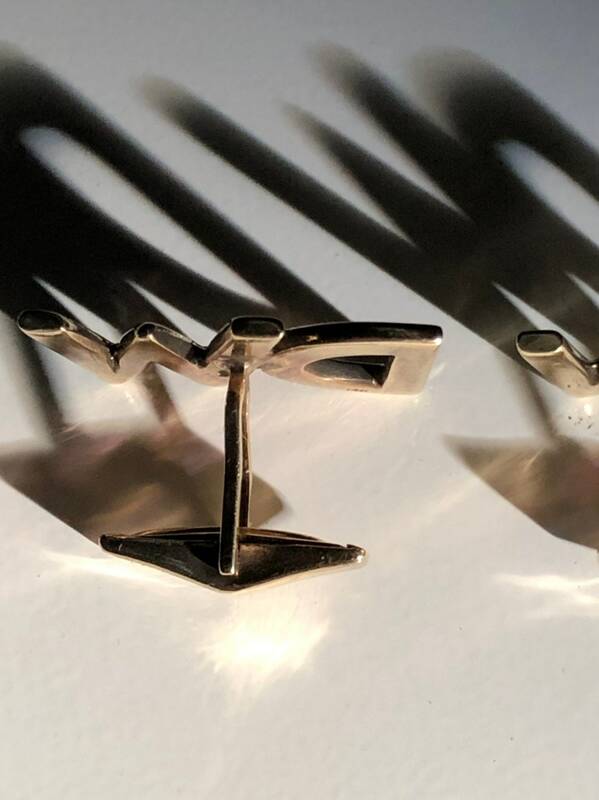 These have a glossy finish on the 15.3mm x 26.5mm (.6" x 1") cufflinks. 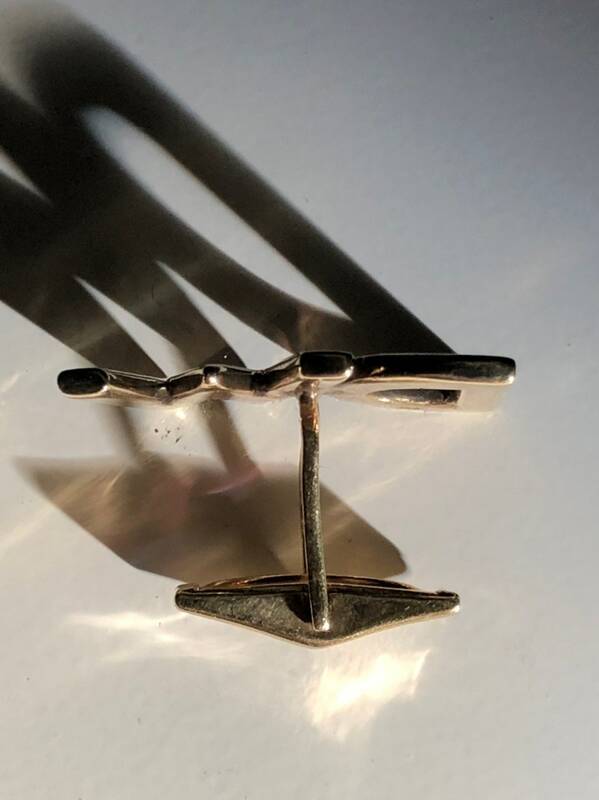 Condition is good used with some signs of use. 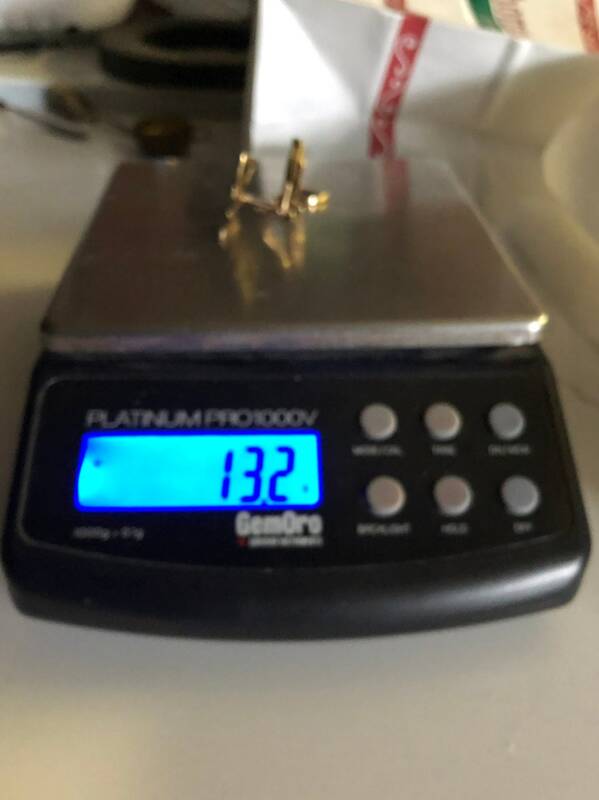 Weight of 13.5 grams.